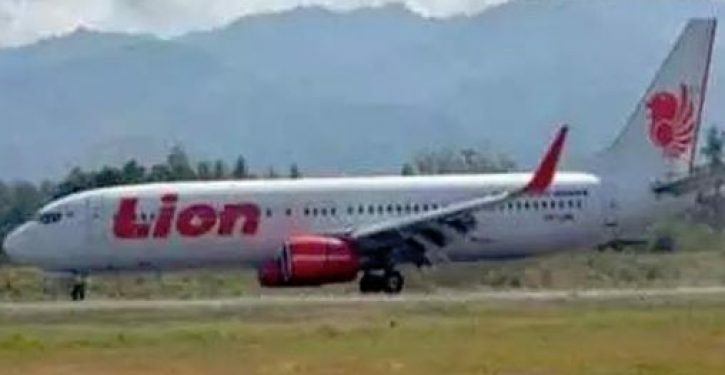 A child was among the six bodies pulled from the sea after a plane carrying 189 people crashed in Indonesia today just moments after the pilot reported “technical difficulties”. No survivors have been found after the Lion Air flight JT-610 crashed 13 minutes after its 6.20am take-off while the firm’s CEO said the jet underwent repair work last night. The remains of six people, including that of a child, have so far been retrieved from the waters of West Java by emergency workers who have been pictured carrying body bags at Tanjung Priok Harbour in northern Jakarta. Senior rescue officials Bambang Suryo Aji said that it is “likely” that all the people on board the jet have died. Indonesia’s disaster agency posted photos online of a crushed smartphone, books, clothing, ID cards, life vests and bags that have been collected by search and rescue teams.